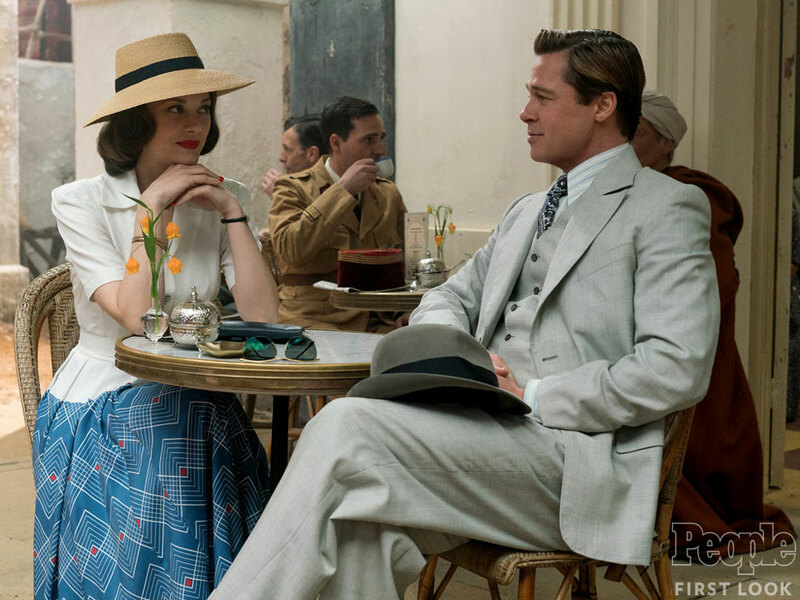 It looks like World War II is getting a little suave in Robert Zemeckis’ Allied, as his stars, Brad Pitt & Marion Cotillard, are certainly looking good in this first image from the movie, which has arrived via People. Lizzy Caplan, Matthew Goode, and Jared Harris also star in the movie. The film is a sweeping romantic thriller, with Pitt and Cotillard as ‘undercover allies who begin to develop a romantic relationship as they plan a high-profile assassination. Pitt plays a British intelligence officer sent to Casablanca on the mission while Cotillard plays a French Resistance fighter who poses as his wife.’ However, Cotillard may be a Nazi spy. The film is getting an Oscar friendly release towards the end of the year.